Lean Startup is a really great read, I thoroughly enjoyed it. It might well be one of the best books I have ever read, top 5 for sure. It was an easy read, but Eric Ries get the concept across really well. He tells the story of how he wanted to apply the principle of ‘lean manufacturing’ to the ‘startup world’. 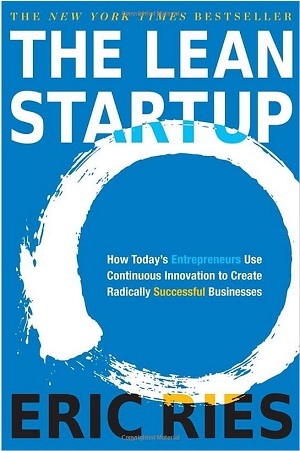 The Lean Startup is a really great read, I thoroughly enjoyed it. It might well be one of the best books I have ever read, top 5 for sure. It was an easy read, but Eric Ries gets the concept across really well. He tells the story of how he wanted to apply the principle of ‘lean manufacturing’ to the ‘startup world’. He also develops a few ground breaking concepts of which Minimum Viable Product (MVP) is my personal favourite. The idea behind MVP is to build the absolute bare minimum product you can in order to start acquiring users, enabling you to start learning the lesson to be able to improve the product. These learning’s challenge the assumptions that was made and help shape the future of the product decisions. From my first impressions this is highly applicable to software startups but I expect application to be found in other startups as well. Lean Thinking will definitely shape my own thoughts and actions in future ventures significantly. Do yourself a favour, even if you just had a single fleeting though of getting involved in a software, internet or any startup, study (not just read) the Lean Startup. The same goes for anybody involved in software development or management of software or internet companies! This book could be the answer to some of your prayers. As more and more case studies of successful startup following this methodology emerge, it will continue to grow into an even bigger movement. This is also part of a much bigger trend for software to impact even more areas of our lives. These mega trends together with accelerators, incubators and seed funds like TechStars and Y Combinator, are helping ‘hackers’ to build the software that will power our world tomorrow. This entry was posted in Book Reviews, Reviews on 2012/10/22 by Justinus.